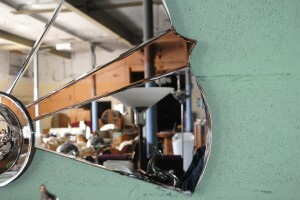 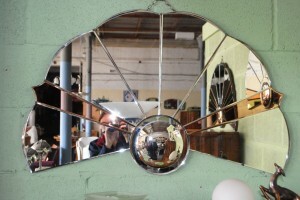 Larger, original art deco cloud mirror with rare tapered copper pieces radiating from the centre - Beautiful! 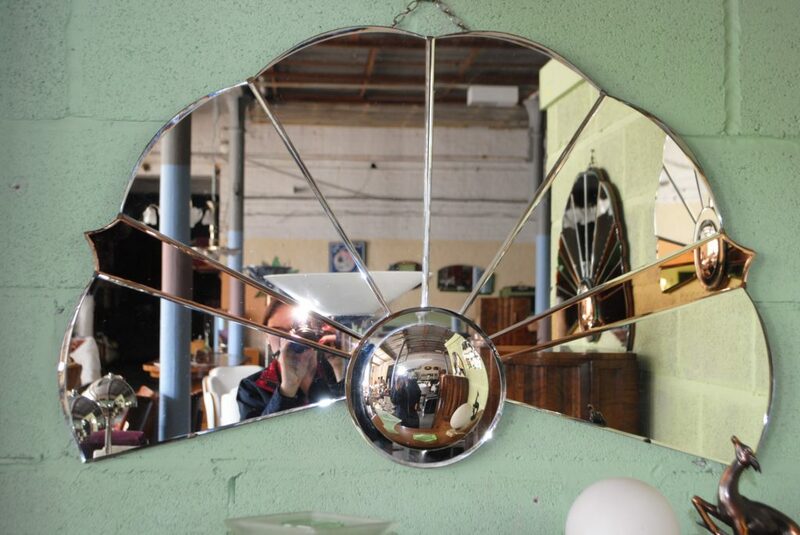 A stunning, larger and rarer original art deco cloud mirror with two stunning copper tapered pieces of glass radiating from the centre. 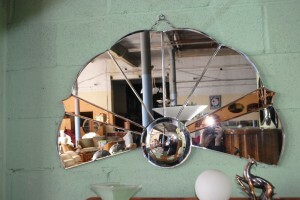 Mirrors can start your deco collection and the cloud mirrors are amongst the best to set the 1930′s lounge scene. 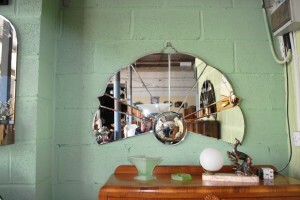 This is a fabulous example in excellent condition.